Guillermo Cruz-Minguela is Vice President in charge of The Sembler Company’s Puerto Rico division. His operation provides full commercial real estate services on the island, including development, management and investment. Since 1995, Sembler has developed more than 45 projects in Puerto Rico totaling nearly one million square feet. Together with Forge Capital Partners, Sembler owns several centers throughout the island that are consistently 95% leased or better. And the company has been instrumental in bringing leading retailers to the island, including Costco, Walgreens, Target, Shoe Carnival, Michael’s and more. Cruz and his team are headquartered in Puerto Rico, where Sembler centers are known for being well-located and expertly managed. In fact, some of Cruz’s tenants were up and running on generator power two weeks after Hurricane Maria devastated the island. 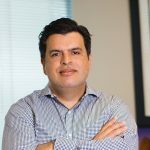 Fluent in English and Spanish, Cruz earned a Bachelor’s degree in Industrial Management from UPPR (Universidad Politécnica de Puerto Rico) and is a Licensed Real Estate Broker.